‘Shyness and reserve … obscures the warmth, sensitiveness, and acute perceptions’ of rulers, said sculptor Kathleen Scott. Her fine bust of Stanley Bruce makes the point. Perhaps you can also see scars of defeat, for Bruce lost both government and his own seat in 1929. He sat for Scott in the cusp of two careers: a defeated PM who would later be one of the key diplomats of his day. 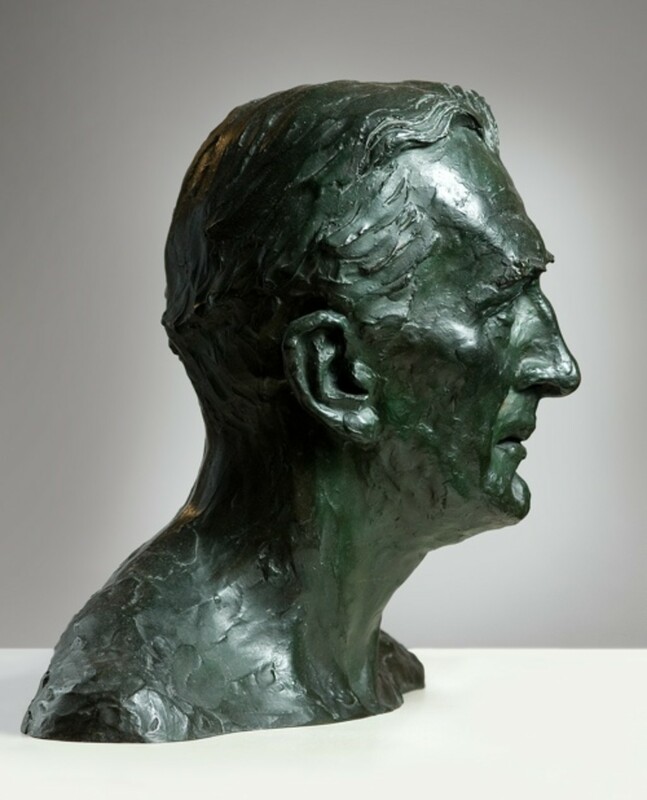 The Bruce bust is on display in Prime Ministers of Australia. Stanley Melbourne Bruce (1883-1967) became Prime Minister of Australia in 1923 after the Country Party blackballed Billy Hughes as the price for entering into coalition with the ruling Nationalists. It had been a meteoric rise to the top for Bruce, only five years after entering Parliament in 1917. At 39, he was the second-youngest prime minister in our history: Chris Watson, two years younger when he became Prime Minister in 1904, lasted less than four months in the job, but Bruce governed for six years, winning the 1925 general election emphatically. He lost the 1929 election, but the government he formed in alliance with the Country Party put down many of the foundations of Australia as we know it today, including the introduction of the Loan Council as the mechanism for public borrowing by the states, and the establishment of the CSIRO. He was also the first prime minister to serve in Old Parliament House. Although he was returned briefly to federal parliament at the 1931 election, the next stage in his long career began in June 1932, when Prime Minister Joe Lyons sent him to London as Resident Minister, and then in 1933 appointed him as High Commissioner. Bruce was a tough and highly successful negotiator on behalf of Australia. His success in renegotiating Australia’s debts in London, using his well-established business network to defeat opposition by the UK government, greatly reduced the amount of interest paid by Australia. From 1932 until 1939 he also represented Australia at the League of Nations, where he laid foundations for the later assertion of a fully independent international personality in his vigorous support for Australian interests within the prevailing Imperial framework. He took a particular interest in issues of global nutrition, partly in order to secure markets for Australian primary produce, and played a key role in establishing what was later to become the Food & Agriculture Organization of the United Nations, which he chaired from 1946 until 1951. Kathleen Scott was a leading sculptor in Britain between the two world wars, specialising in portraiture. She was mostly recognised for her rendering of ‘the hard clear dynamic features of statesmen and men of action’ (Times Literary Supplement), beginning with her first husband, the polar explorer Robert Falcon Scott. Her subjects often take heroic poses and were crafted for public display in a spirit of undisguised admiration. 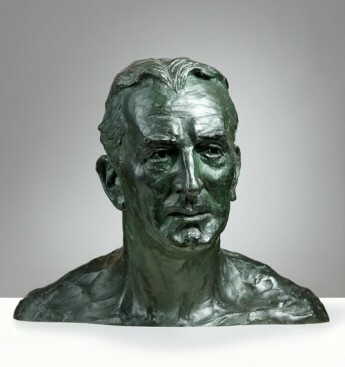 Kathleen Scott’s bust captures Bruce’s personality and character at a moment of transition. Here is a man preparing for new challenges and undoubtedly happy to be back in London, where he had lived from 1905 until 1915, and the city at the centre of the Empire of which he was to be such a noted international statesman. Indeed, Lyons may have been as interested in having someone with Bruce’s steely determination and wide experience to represent Australia in London, as perhaps of wanting to send a possible rival into exile. Bruce’s last public office was as the first Chancellor of the Australian National University, from 1951 until 1961. He left the university a substantial bequest and directed that his ashes should be scattered over Canberra. He also left the official gifts received during his time in public life to Australia. A cigarette case given to him by Turkish leader Kemal Ataturk, who like him had served at Gallipoli, is on display in the Prime Ministers of Australia exhibition, on loan from the National Archives of Australia.